Help us celebrate our 60th anniversary year with a special one-night concert accompanied by the Heritage Light Orchestra. Conducted by Neil Streeter, one of our regular musical directors and his 40-piece orchestra, this concert features many of our favourite songs from musicals, performed by BATS members; past and present. So join us to help celebrate our anniversary and relive some wonderful musical memories! 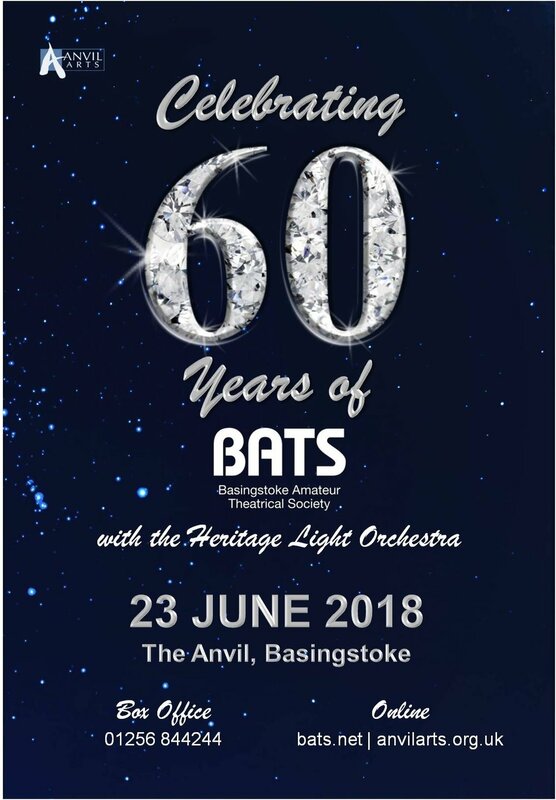 "A heartfelt thank you to the BATS company for the fantastic 60th anniversary concert. Coming from a theatrical background myself, I have attended all sorts of shows, both amateur and professional, over many years and this one rates very high on the list for quality and entertainment. I was amazed at the consistently high standard of singing by all members. I am resolved to attend more BATS shows in the future and will do my best to spread the word about the superb local talent that we have on our doorstep."